Spotted a weed on your lawn which you have never seen before? 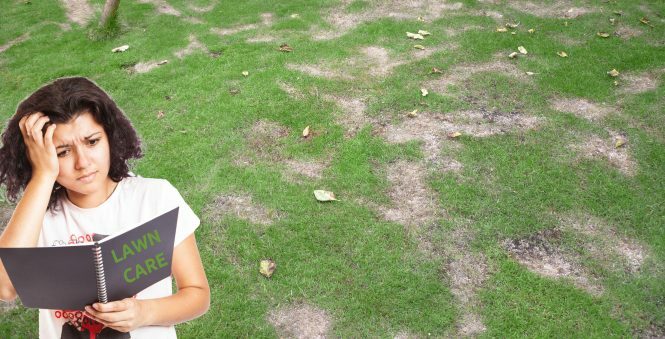 Do you have a problem with your lawn which you don’t know how to resolve? Want a lawn to do Tai Chi on? Had your lawn invaded by cows? Don’t worry, help is at hand. Ask a question using this form and get an answer from an experienced lawn care expert. I have been treating lawns professionally for over nine years, and have a wealth of experience of resolving all sorts of lawn care issues. It can be difficult finding good answers to your lawn care problems. Ask me and get a straight, honest answer. Have a look through my blog pages first to see if I have answered your question before. If you do send me a question, please try to be as complete as possible. Including a brief history of the lawn and treatments that may have been applied. A photo or two would also be a great aid to diagnosis. Please note that I can only answer questions about British lawns and cool season grasses. If you live in the USA or Australia, then I will be unable to help and you should consult a lawn care expert locally. I am also unable to answer questions about any other gardening topics as that is not my field of expertise. Please enter your email, so I can reply. Please include as much detail about your lawn as you can including age, aspect, soil condition and feeding. I am happy for my question to be published on the lawn care blog to help other people who have similar lawn issues. I would like your consent to add you to my marketing database. This is so I can send you offers and news via email or post. Please tick this box to join my list. You can unsubscribe at any time by clicking on the link at the bottom of any of my emails. I do get a lot of questions, so it may take a few days before I am able to answer it, but I will try my best. The more complete your question, the more likely it is I will be able to answer it. I will use the best questions and answers on my website to help other lawn owners with similar problems. If you don’t want your question to be published, please let me know by ticking the relevant box. Thank you for reading, and I hope I can be of assistance! Question: What is this lawn weed? Question: Is this a slime mould? Question: How do I fix my burnt lawn? Question: Easy way to control moss and dog lichen? Question: Should you remove the conifer root ball for a lawn? Question: How I can make my lawn good to do Tai Chi on? Main CC image used part of a picture by CollegeDegrees360 on Flickr.